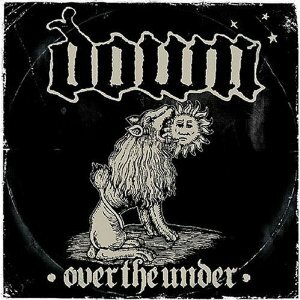 Initially, I didn’t like Down’s third record, Over the Under, as much as the first two, but it didn’t take long for me to come around. The things that give Down so much appeal for me are there – that organic sound that blends all the various influences of their New Orleans home into an amazing stoner/doom sound. Like all of their records, Over the Under is driven by those big, grooving guitar riffs of Pepper Keenan and Kirk Windstein, but this album is helped by some very personal lyrics from Phil Anselmo. “Mourn,” in particular, stand out. The song was written after Anselmo was barred from the funeral of “Dimebag” Darrell Abbott, and the emotion is raw and gritty. The album also, in a way, traces the misery and resilience to be found in New Orleans in the years immediately following Katrina. And “On March the Saints” is just pure awesomeness on many levels. 2. Soilwork, Sworn to a Great Divide. This record almost knocked Down off the top of my list in 2007, though as years have gone by it has become a more distant second. Though I like most of the band’s records, this one, to me, perfectly blended the heavy and more melodic sounds. Just about every song on it is memorable. 3. Lillian Axe, Waters Rising. After years away, one of the favorite bands of my youth returned with what was, and still is, a fantastic hard rock record. Though Waters Rising doesn’t come close to matching Lillian Axe’s first two records for me, it ranks right up there with the best of the rest of their catalog. There are some great songs throughout. 4. Machine Head, The Blackening. On my original list for 2007, this was just an honorable mention. I honestly don’t know how I came to that conclusion. This is a great record, and while I still consider Through the Ashes of Empires their “comeback,” this album perfected that comeback sound. 5. Iced Earth, Overture of the Wicked/Framing Armageddon. I rated Framing Armageddon a little higher in 2007, but what followed kind of spoiled the album for me. Bringing Matt Barlow back to record the second part of it kind of ruined the continuity and makes the set kind of mismatched. I did, however, love the Overture of the Wicked EP, which featured stripped-down, meaner recordings of the original Something Wicked trilogy with Tim Owens. I’ll combine them for purposes of the list. 6. Slough Feg, Hardworlder. Slough Feg delivers some of the best pure old school hard rock/metal around, and this album, I believe, is as strong as any in their catalog. 7. Exodus, The Atrocity Exhibition: Exhibit A. Their second album with vocalist Rob Dukes was even meaner, nastier and heavier than the first. That said, I don’t return to it as much these days as Shovel-Headed Kill Machine. 8. Megadeth, United Abominations. This one has slipped down the list a little from its release, too. I still enjoy it, but to be honest, when I’m in the mood for Megadeth now, I usually reach for one of their earlier records. 9. Candlemass, King of the Grey Islands. Solitude Aeternus singer Robert Lowe comes in and brings a new dimension to the Candlemass sound. The doom masters trudge on through the darkness in fine form. 10. Arch Enemy, Rise of the Tyrant. To my ears, this might be Arch Enemy’s best moment. The tunes are more focused and Angela Gossow is growling at her best, even enough, I believe, to impress some of the folks who didn’t like her when she took over on Wages of Sin. 11. Ted Nugent, Love Grenade. After the more metallic Craveman, Uncle Nuge returned to what he does best – raunchy, loud, in-your-face rock ‘n’ roll. 12. Shooter Jennings, The Wolf. This is, by far, the weakest of Shooter’s country outings, but there are still some really good songs on it. 13. Dethklok, The Deth Album. A fictional cartoon band one of the best metal albums of the year? You bet. When the fictional band includes very real drummer Gene Hoglan, they’ve already got a leg up on the competition, and Brendon Small’s songs are funny, as well as incredibly catchy. 14. Annihilator, Metal. This album full of guest stars didn’t quite reach the high hopes I had for it. Albums full of guest stars rarely do. It’s still a pretty solid outing, though. 15. Dimmu Borgir, In Sorte Diaboli. If I was a bigger fan of extreme metal, this would probably be higher on my list. I always love their more symphonic work. 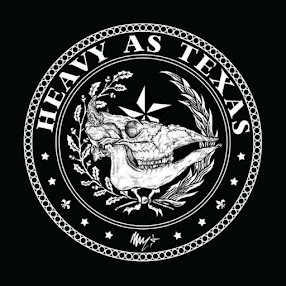 Review: Bob Wayne, "Till the Wheels Fall Off"
Review: Trixter, "New Audio Machine"
Review: Tenacious D, "Rize of the Fenix"
Review: Hank III, "Long Gone Daddy"
Danzig streaming cover of "Devil's Angels"